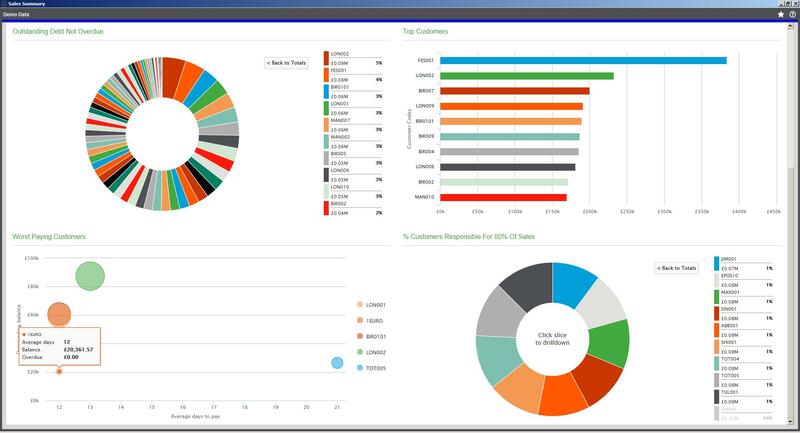 Sage 200 2015 – The best version ever! Its been billed as the most important update in years and I have to say, I do not think users will be disappointed. 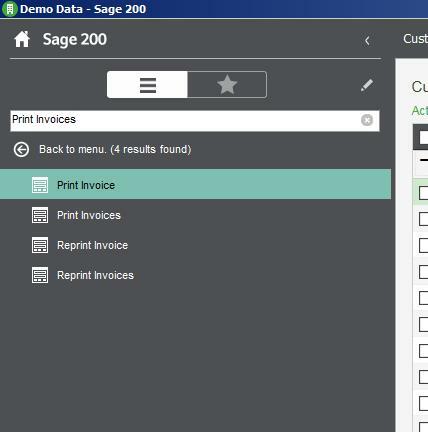 Here are some details of the new features within Sage 200 2015 which was officially released at the end of February. 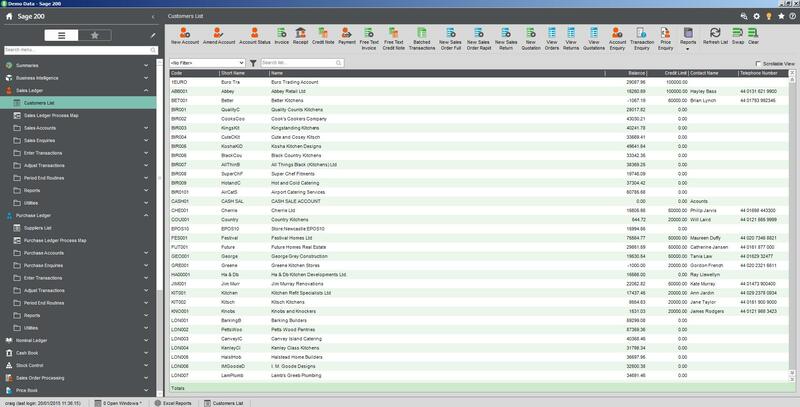 Whilst the basis is familiar to current Sage 200 users, the screens and menus have changed in appearance giving a more modern design. 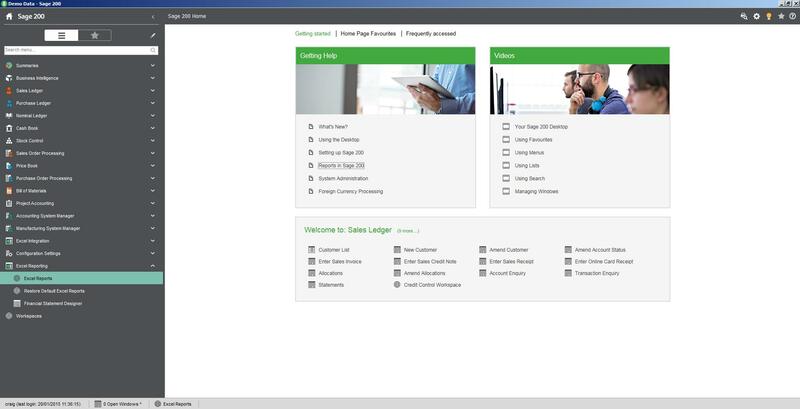 Many of the changes are designed to make it easier for users to navigate Sage 200 and find/access what they want. The 2015 design is much more intuitive. A really nice feature is the frequently accessed page where the system remembers the functions you have used the most, so there is a quick way of getting back to them. What’s even more impressive is it remembers by day. So if you access something on a Friday, the next Friday it will be in your recently accessed. It is now possible to use a search function on the menu allowing you to search for a menu item and the menu is filtered by items containing the word searched. Custom colour settings can be applied and you are able to make each dataset/company you work in a different colour to make it more obvious which one you are working in. Homepage and Favourites still exist whilst being more easily managed. Favourites can be added with one click, and can be arranged in folders, easily renamed and re-ordered. 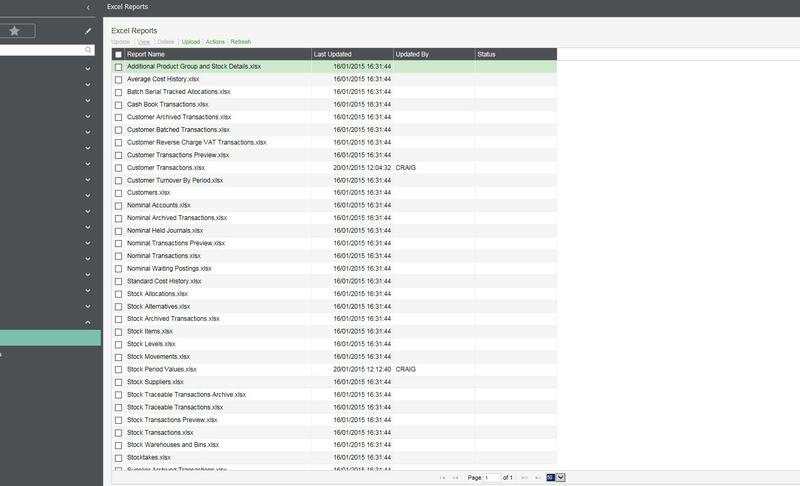 After years without one a simple Fixed Asset register is now included within the Financials modules for Sage 200. This is a welcomed introduction allowing you to set up, depreciate, dispose and delete assets. 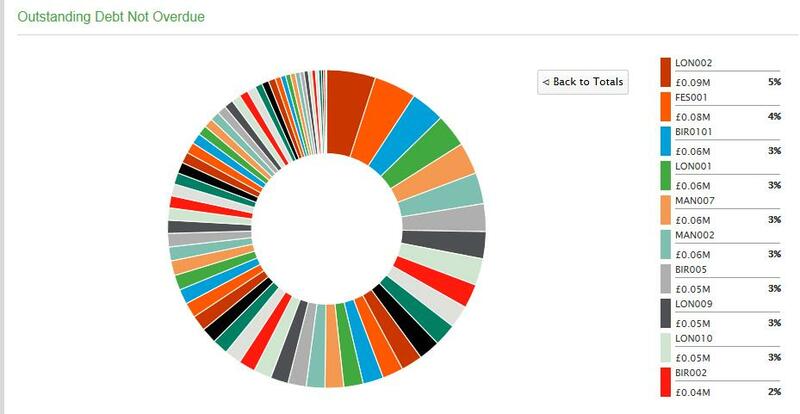 Excel Reporting gives you more choice over how you can produce the reports you want. The important thing to note here, and I am not sure how I feel about it, is that some Excel reports are provided free while others are available if you subscribe to Excel Reporting. You are able to preview reports within the program to see what you would get in subscription packages. 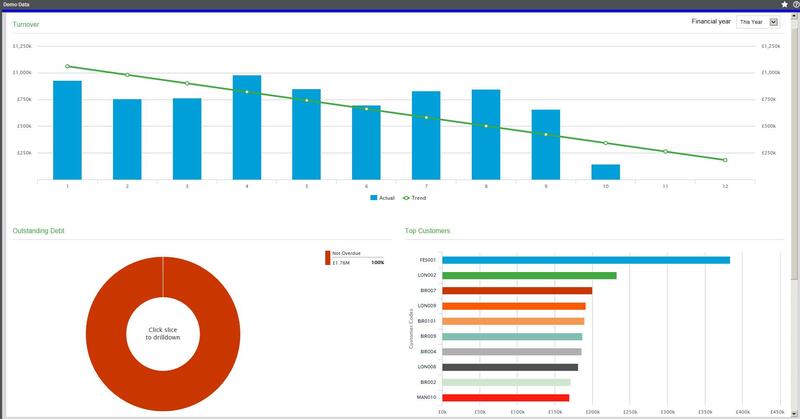 New Graphical Workspaces give a great visual representation of certain KPI’s. The Graphs also allow a drill down function to gain more specific answers. The Logon speed has significantly increased and you will struggle to find time to make a coffee before it has opened. Joking aside this is a major improvement. There is a completely new ‘list view’ that does away with the older-style list views of the previous Sage 200 versions. These new list views include improved searching and filtering methods, and mixes the function of workspaces with the easier to read layout of the old list view. List views can be opened up in a separate form/window. With a scroll bar! Totals have been added to quickly show the cumulative values of selected records. Workspaces also run more quickly, and also make better use of screen space. Enquiry Screens have returned (I know they could be added to the menu manually in 2013) so the normal forms can be accessed of the menus as per 2011. Project Accounting now includes the much requested Work in Progress (WIP) function which accrues for part-delivered project work. 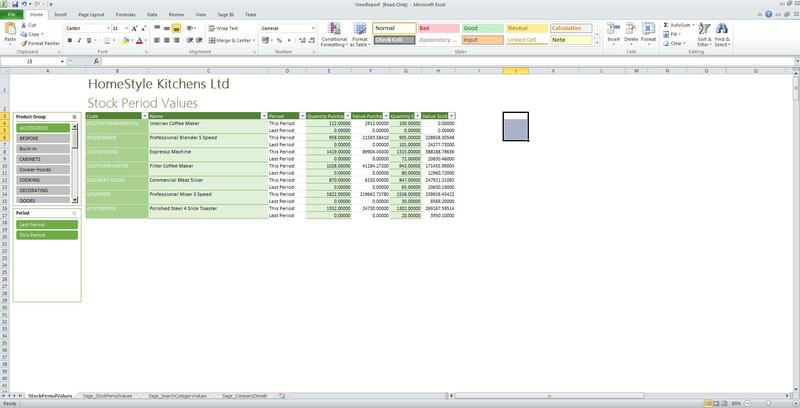 This is automatically posted to and reversed from the balance sheet as projects complete. This means costs can be posted to the same period as revenue to ensure true project profitability is shown in financial reports. Ability to edit manual nominal journals so that you can amend references or narrative. Functionality to properly account for the VAT legislation changes for early settlement discount. If you deal with a lot of settlement discounts you must upgrade for this alone. Support for SQL 2014 is now included. Ideas Hub this gives an easier route to offering Sage ideas of what changes you would like to see. 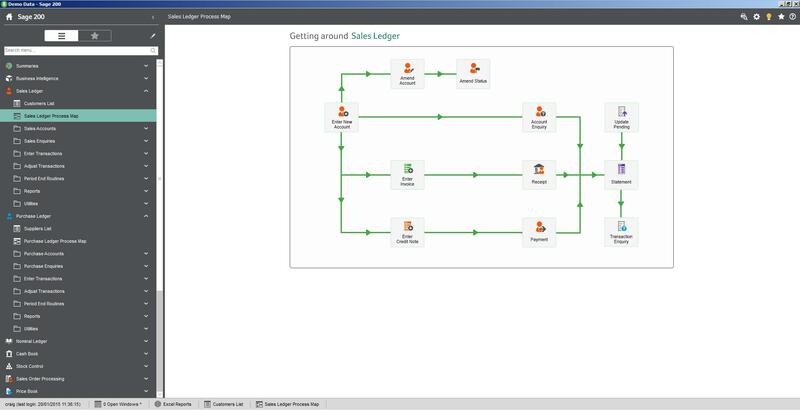 It also gives you the opportunity to join a Sage 200 community, and hopefully this will offer an increased source of information and communication for users of Sage 200 (hopefully not turning people away from Talking Sage 200!!!!). I am nothing but positive about Sage 200 2015. A number of the key issues have been rectified and it is definitely the most updated and improved release since the move to a SQL database. Following on from my Early Settlement Discount post, Sage have now released the Service Packs for Sage 200 2011 and 2013 (NOT 2013 R2). As suggested previously these only serve to be a temporary solution to the legislation change for Early Settlement Discounts and will still require you to process manual transactions in order to correct your VAT postings. You will note the service packs can be installed straight away and there is a new parameter to enable the changes. THIS NEW PARAMETER CANNOT BE DISABLED ONCE SELECTED, SO DO NOT ENABLE UNTIL REQUIRED. I think you will agree the work around isn’t the simplest and, particularly if you process a lot of Early Settlement Discounts, you really need to arrange an upgrade to the New 2015 version once it is released, as this will have full functional ability to deal with the legislation change. The Service Pack for 2013 R2 is due to be released on Friday 06th March 2015. Functionally this will be the same as the changes to 2011 and 2013. Remember, if you are on any version below 2011, you have no option but to upgrade as NO service packs are to be released. On 01 April 2015, the legislation when raising or receiving a VAT invoice including early settlement discount will change. The change affects you as a supplier who offers early settlement, and/or as a customer who receives early settlement discount, where an invoice is issued. For the current legislation, up to 31 March 2015, suppliers who offer early settlement discounts are permitted to account for and include the VAT due on the discounted price on their invoice, even if the full price (i.e. the undiscounted amount) is what is eventually paid. Customers who are offered an early settlement discount are only able to recover the VAT stated on the invoice even if they do not pay within the settlement days permitted. From the 01 April 2015, suppliers must account for VAT on the amount they actually receive and customers may recover the amount of VAT that is actually paid to the supplier. Because of these changes Sage are releasing updates for Sage 200 however you must be aware how this impacts your version of Sage 200. Sage 200 2015 will be fully compliant with the new legislation when it is released (end of February). It will also make it easier to process in accordance with the new guidelines. It includes two elements – compliance and usability. Sage therefore recommend that all Sage 200 sites which are affected by this legislation change upgrade their software to Sage 200 2015 as soon as possible. Some older versions of Sage 200 will have a Service Pack released to assist with the changes however this relates strictly to the point of compliance only. Sites which have installed the relevant update will be able to continue printing compliant invoices. Sage and indeed my recommendation for Sage 200 2011, 2013 and 2013 R2 sites is to upgrade to Sage 200 2015 as these versions will be less efficient and more prone to human error. That is unless the site has a very limited number of accounts where Early Settlement Discount is effective. There will be no updates made available for Sage 200 2009 or Sage 200 2010. All sites on one of these versions, that are affected by Early Settlement Discount, should upgrade their software to reduce the amount of manual changes.